My wife Susan and I purchased this condo in 2013. Prior to that, we and our 3 daughters had spent many years vacationing at family cottages on freshwater lakes, but also at many Hotel/Condo oceanfront settings. When we first discovered the Panama City Beach area in 2010 we were taken aback by the sheer beauty of the area and the unequaled sugary white sand beaches! In addition to the wonderful beaches, we soon discovered that the area also offers unlimited opportunities to enjoy your vacation including nature, sport, shopping and of course endless dining possibilities. 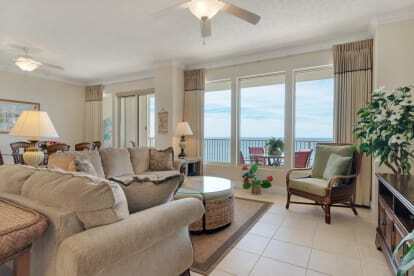 When we decided to purchase our own condo in the PCB erea, after an exhaustic seach of about 20 different complexes and floor plans, we choose Gulf Crest. Without going into details, every chance we get to visit the area and Gulf Crest, we believe more and more that it was the right decision...If your family is able to stay as our guests (or at any other Gulf Crest unit) we believe you will agree with us, and want to come back again and again, just as mentioned in our guest reviews as posted on our listing here!.